Our retro diner tables are commercial tables. Our diner tables can be used as a retro kitchen table or a restaurant table. 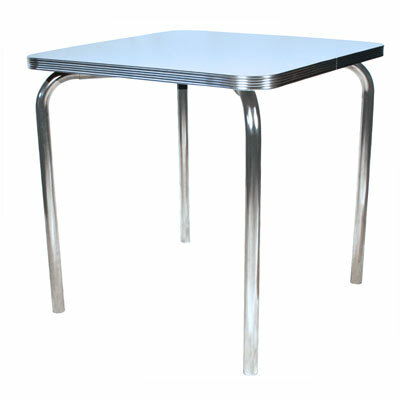 Our chrome tables look great with our retro bar stools and retro diner chairs. 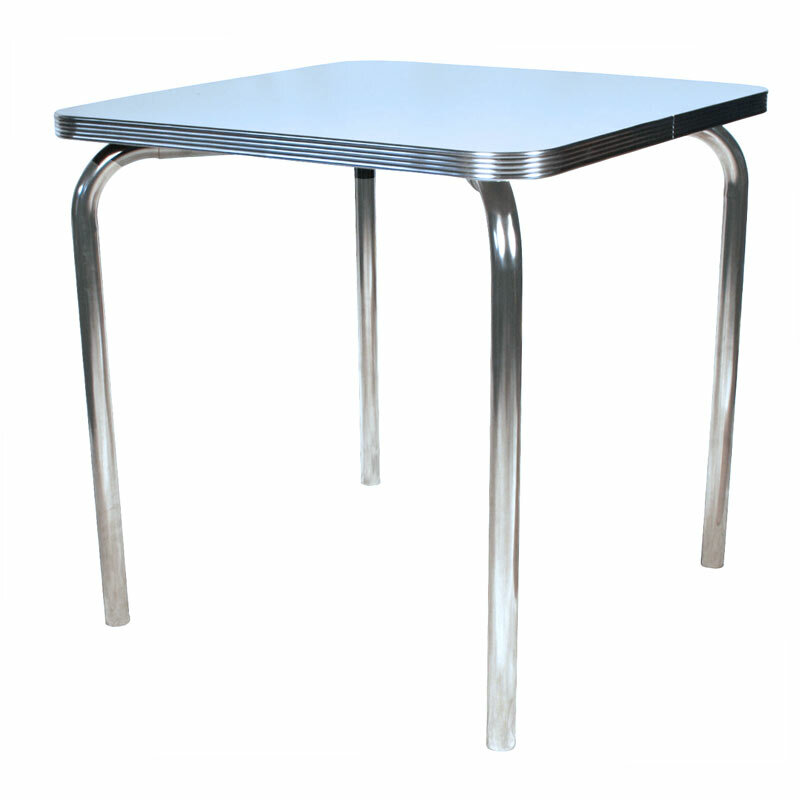 The table shown above features our retro style single chrome table legs. The diner table features a scratch resistant high pressure laminate top.